Bandaloop keyed the 10 year celebration of Santiago Calatrava's Sundial Bridge in Redding California with two nights of free performances. With thousands of residents, families, and dogs below, Bandaloop danced on, under, and around every feature of the iconic bridge. Fort Mason's cavernous Festival Pavilion was the premiere site for Bandaloop's mobile audience work Harboring. Investigating themes of travel and memory, and trading on the maritime history of the site, Harboring took the audience on literal journey down length of the festival pavilion. OZ Nashville invited Bandaloop to install Harboring in and around their converted cigar warehouse in the industrial outskirts of town. The resulting immersive experience traveled the audience across the OZ grounds, showcasing both the flexible storytelling abilities of the dancers, and the handsome OZ facilities. 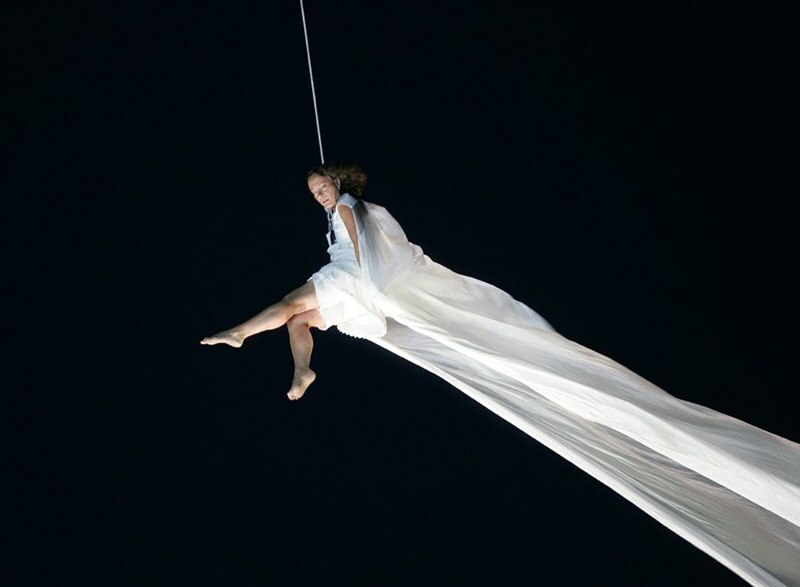 Bandaloop brought Harboring to the beautiful Maui Arts and Cultural Center, and participated in the center's 20th anniversary celebration. Performing at three sites on the MACC campus, Harboring once again took the audience on a journey both figurative and literal.